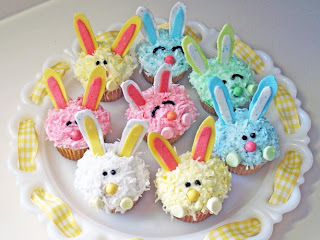 I think these bunny cupcakes are so sweet! They are featured by Betty Crocker and made by Amandas Cookin. She just also happens to have a great craft site that I link to from time to time called Crafts by Amanda., which is a great site for kids crafts. To see how to make her sweet bunnies you can see how here at BettyCrocker.com.